My Brickyard Buffalo Guest Editor Week! The Best Deals and My Top Picks! Hello, friends! 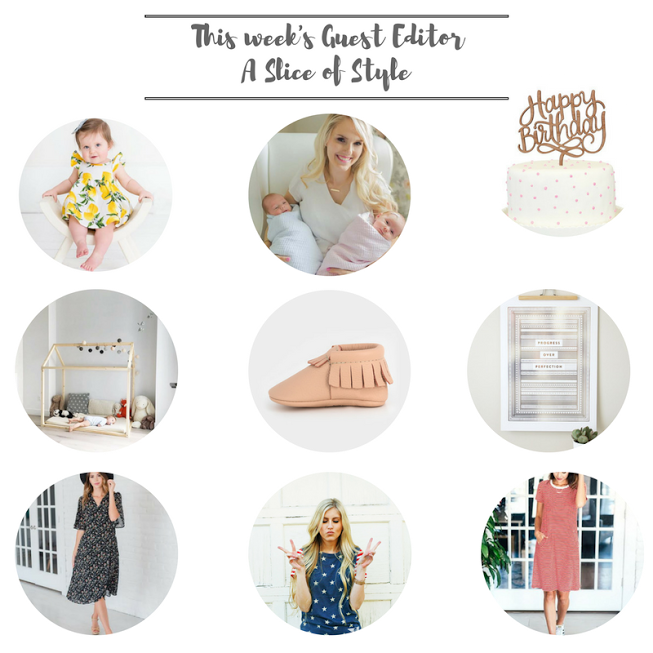 I am SO excited to share with you that I am the guest editor for Brickyard Buffalo this week! If you haven’t heard of Brickyard Buffalo, then you’re in for a treat. Basically what happens is they choose guest editors to help curate items from their favorite shops and then offer those items at a discount. I choose some of my absolute favorite items right now and I can’t wait to share them with you! Make sure to follow along on Instagram this week to see how I’m styling these items as well. Okay, are you ready? First, are these prints from Robert and Stella are the happy spots in your day. 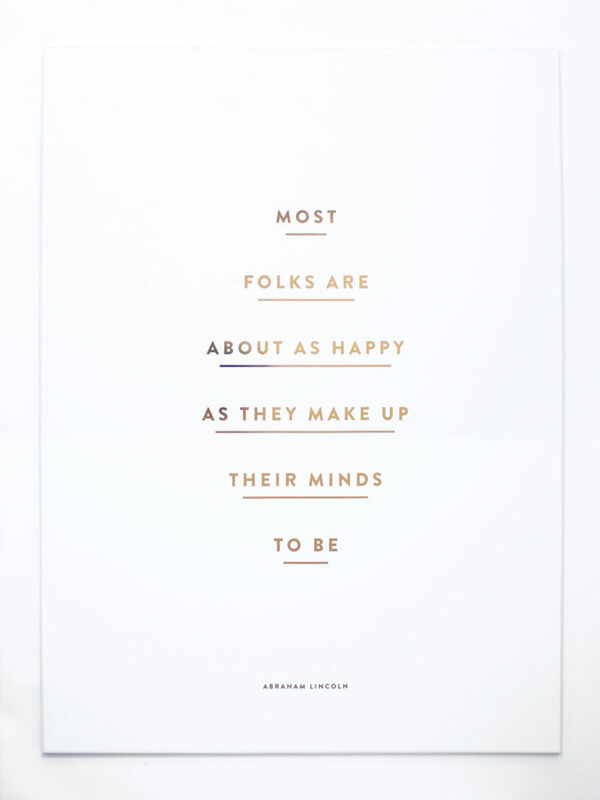 The quote, “Most folks are about as happy as they make up their minds to be” by Abraham Lincoln is one of my favorite quotes of all time because it’s something I believe with my whole heart. There are other wonderful quote options here, and they are on sale for $36, reg. $45! Next up, Harris and Goldie’s favorite moccasins from Freshly Picked! They are so comfortable, easy to wear, don’t fall off and match with anything. 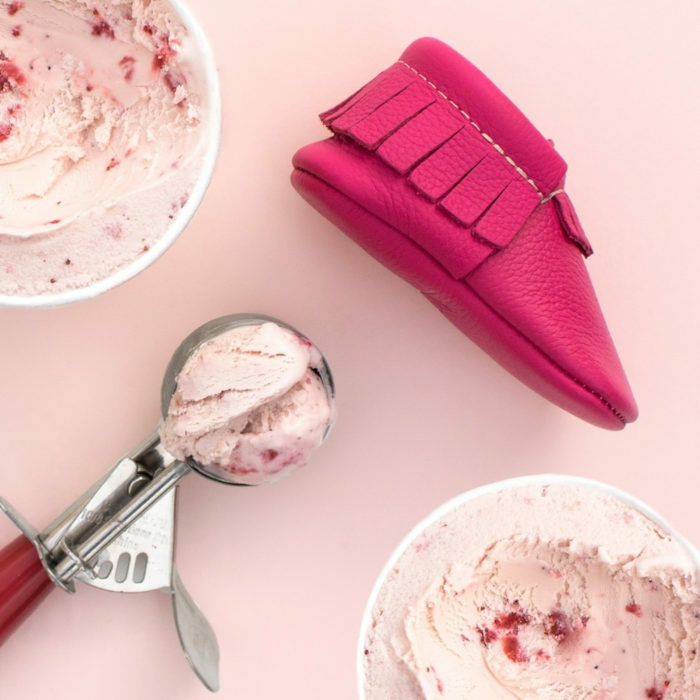 The hazelnut and strawberry sorbet colors are on sale for $39.99, reg. $49!! 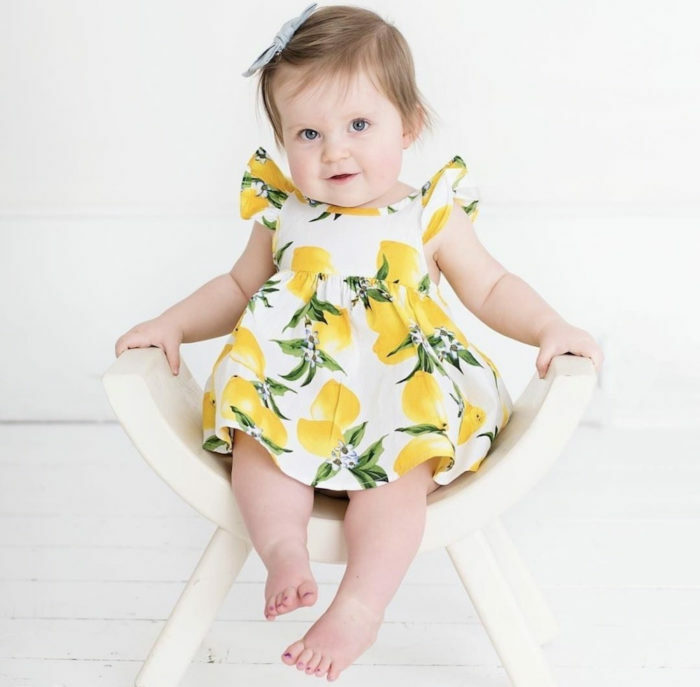 This darling lemon dress from Lunaby Baby is the sweetest (and most sour ha ha) dress around. I love lemons. The bright yellow makes me happy, and they are so sweet on my darling Goldie! This dress just screams “summer” to me. It’s on sale for $11.95! Could these cake toppers from Alexis Mattox Design be ANY cuter? 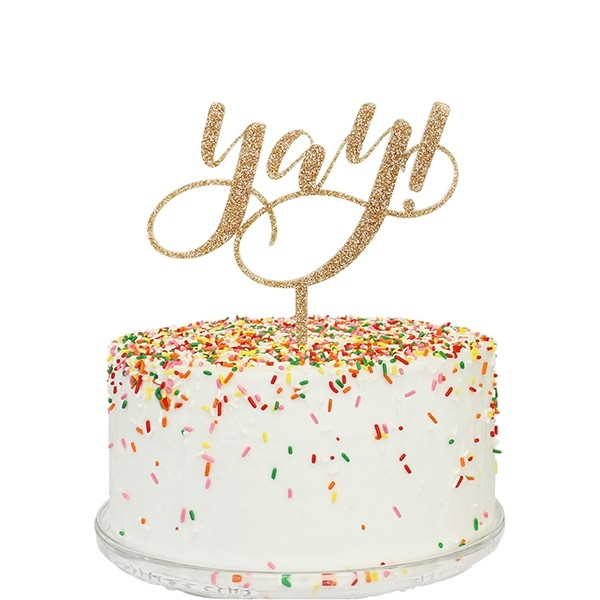 I love that they are reusable, so you can turn any ordinary cake into a lot of fun. We love to celebrate all sorts of things at our house (we just love to have fun!) so I KNOW that we will be using these a lot! They’re on sale for only $8.95, reg. $16! You know I’m pretty much in love with anything red, white and blue for the 4th of July and summer, and I’m also in love with comfortable dresses that I can wear while playing with my kids. I don’t want to have to worry about layering or showing what my mama gave me when I bend over, ya know? 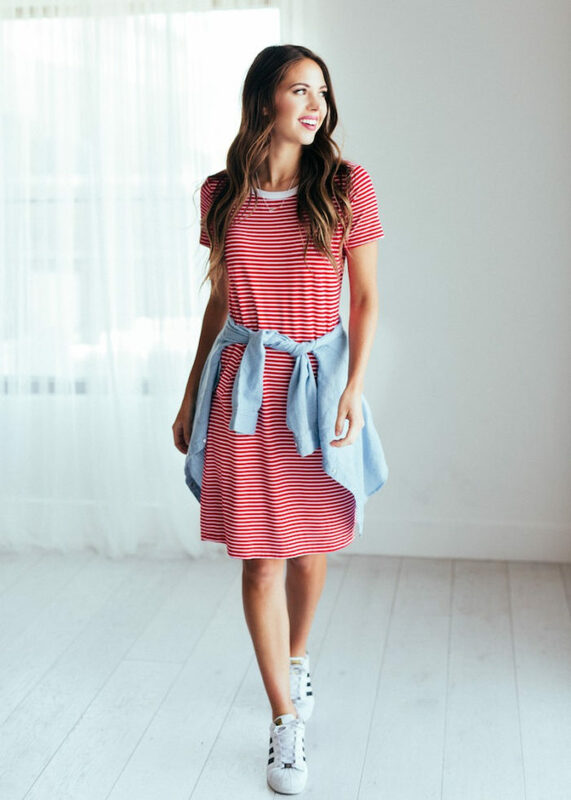 This red and white striped dress is perfection. I’m going to be wearing these red Converse with this dress next weekend! It’s on sale for $19.99, reg. $42 and is true to size. 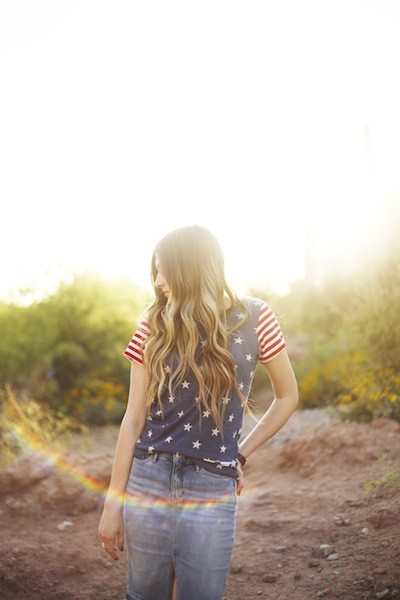 And speaking of the 4th, this American flag stripes and stars tee from Flybird Apparel had me from the moment I laid my eyes on. I’m going to pair it with these white jeans, these sandals and this hat for the perfect festive outfit! It’s on sale for $37.95! I wore this floral wrap dress on Friday and I felt so pretty and feminine in it! It was easy to wear, it would be so cute to pair it with this hat and these sandals (on sale! ), and it’s on sale for only $28.99! It is true to size. I LOVE this darling twin bed frame from Ruby + Rye! It would be so magical to hang these lights above it. 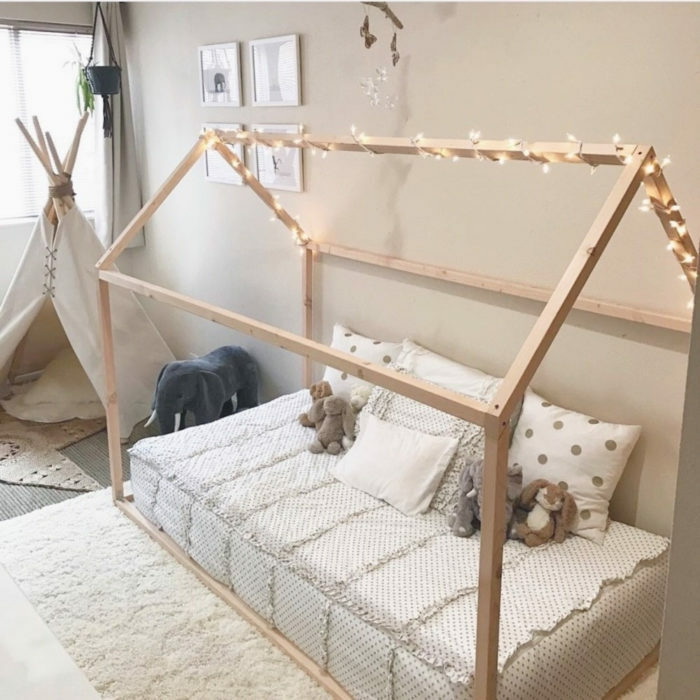 I love that it is so customizable, and that you don’t have to worry about your kids falling far off the bed! It’s on sale for $160, reg. $200! You can click here to access my Brickyard Buffalo guest editor week page that includes all of these products!